Starting from a minimal install. Your config file should be like these. Note: I activate binlog without purge because can be useful if you need to recover data or attach a mysql slave. This is important because after a lot of power outages and hard disk problems sometimes you can’t recover your database and restore a backup is faster than reinstall or the only way. # DONT'T REMOVE THE PREVIOUS VERSION LINE! # This is not true for UMASK, CONFIG_prebackup and CONFIG_postbackup!!! # declarations in here will supersede all other. # to use them, just choose no here. # of the stability of your system - not choose more than (#number of cores - 1). # all systems have at least some sort of HyperThreading, the default is 2 threads. # INSTEAD to copy the contents of $DBNAMES and add further entries (optional). # List of databases for Monthly Backups. # List of DBNAMES to EXLUCDE if DBNAMES is empty, i.e. (). # You may use wildcards for the table names, i.e. 'mydb.a*' selects all tables starting with an 'a'. # '%' wildcard in mysql. # on the last day of the month. # Set to 0 to disable monthly backups. # Set to 0 to disable weekly backups. # If you want to keep only today's backups, you could choose 1, i.e. everything older than 24hours will be removed. # Compress communications between backup server and MySQL server? # Use ssl encryption with mysqldump? # For connections to localhost. Sometimes the Unix socket file must be specified. # when BEGIN was issued without blocking any applications. # example, any MyISAM or MEMORY tables dumped while using this option may still change state. # contents to obtain incorrect contents or fail. # from which the slave should start replicating after you load the dump file into the slave. # and takes effect when the dump file is reloaded. If no option value is specified, the default value is 1. # This option requires the RELOAD privilege and the binary log must be enabled. # the exact moment of the dump. # are reloaded, they will be created with the timestamps equal to the reload time. # for the mysql database. # load the contents of the mysql.proc table directly as described earlier. # Include CREATE DATABASE in backup? # location so it can be downloaded by third party scripts. # Remove all date and time information from the filenames in the latest folder. # and removes the date and time information from the filenames (if present). # backups have the id of the corresponding master backup as $rel_id. # To ensure that master backups are kept long enough, the value of $CONFIG_rotation_daily is set to a minimum of 21 days. # Allow packing of files with tar and splitting it in pieces of CONFIG_mail_maxattsize. # Use uuencode instead of mutt. WARNING: Not all email clients work well with uuencoded attachments. # Do you wish to encrypt your backups using openssl? # Choose a password to encrypt the backups. # Backup local files, i.e. maybe you would like to backup your my.cnf (mysql server configuration), etc. # depending on the option CONFIG_encrypt encrypted. # Note: This could also have been accomplished with CONFIG_prebackup or CONFIG_postbackup. # and files rw------- permissions. #       Listen port for trapper. #       Source IP address for outgoing connections. #       Name of log file. #       If not set, syslog is used. #       Maximum size of log file in MB. #       0 - disable automatic log rotation. #       Name of PID file. #       If set to localhost, socket is used for MySQL. #       If set to empty string, socket is used for PostgreSQL. #       For SQLite3 path to database file must be provided. DBUser and DBPassword are ignored. #       Schema name. Used for IBM DB2 and PostgreSQL. #       Database user. Ignored for SQLite. #       Database password. Ignored for SQLite. #       Comment this line if no password is used. #       Path to MySQL socket. #       Database port when not using local socket. Ignored for SQLite. #       Number of pre-forked instances of pollers. #       Number of pre-forked instances of IPMI pollers. #       Number of pre-forked instances of pollers for unreachable hosts (including IPMI and Java). #       Number of pre-forked instances of trappers. #       Trappers accept incoming connections from Zabbix sender, active agents and active proxies. #       Number of pre-forked instances of ICMP pingers. #       Number of pre-forked instances of discoverers. #       Number of pre-forked instances of HTTP pollers. #       Number of pre-forked instances of timers. #       Timers process time-based trigger functions and maintenance periods. #       Only the first timer process handles the maintenance periods. #       IP address (or hostname) of Zabbix Java gateway. #       Only required if Java pollers are started. #       Port that Zabbix Java gateway listens on. #       Number of pre-forked instances of Java pollers. #       Number of pre-forked vmware collector instances. #       How often Zabbix will connect to VMware service to obtain a new data. #       Size of VMware cache, in bytes. #       Shared memory size for storing VMware data. #       Only used if VMware collectors are started. #       Temporary file used for passing data from SNMP trap daemon to the server. #       Must be the same as in zabbix_trap_receiver.pl or SNMPTT configuration file. #       If 1, SNMP trapper process is started. #       List of comma delimited IP addresses that the trapper should listen on. #       Trapper will listen on all network interfaces if this parameter is missing. #       How often Zabbix will perform housekeeping procedure (in hours). #       Housekeeping is removing outdated information from the database. #       hours of outdated information are deleted in one housekeeping cycle, for each item. #       To lower load on server startup housekeeping is postponed for 30 minutes after server start. #       [housekeeperid], [tablename], [field], [value]. #       will be deleted per one task in one housekeeping cycle. #       SQLite3 does not use this parameter, deletes all corresponding rows without a limit. #       If set to 0 then no limit is used at all. In this case you must know what you are doing! #       How often Zabbix will try to send unsent alerts (in seconds). #       Size of configuration cache, in bytes. #       Shared memory size for storing host, item and trigger data. 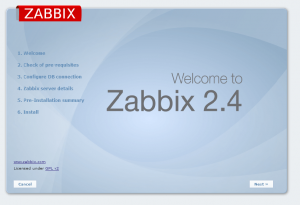 #       How often Zabbix will perform update of configuration cache, in seconds. #       Size of history cache, in bytes. #       Shared memory size for storing history data. #       Size of trend cache, in bytes. #       Shared memory size for storing trends data. #       Size of text history cache, in bytes. #       Shared memory size for storing character, text or log history data. #       Size of history value cache, in bytes. #       Shared memory size for caching item history data requests. #       Setting to 0 disables value cache. #       Specifies how long we wait for agent, SNMP device or external check (in seconds). #       Specifies how many seconds trapper may spend processing new data. #       After how many seconds of unreachability treat a host as unavailable. #       How often host is checked for availability during the unavailability period, in seconds. #       How often host is checked for availability during the unreachability period, in seconds. #       Full path to location of custom alert scripts. #       Default depends on compilation options. #       Full path to location of external scripts. #       Make sure that fping binary has root ownership and SUID flag set. #       Make sure that fping6 binary has root ownership and SUID flag set. #       Make empty if your fping utility is capable to process IPv6 addresses. #       Location of public and private keys for SSH checks and actions. #       How long a database query may take before being logged (in milliseconds). #       Only works if DebugLevel set to 3 or 4. #       0 - don't log slow queries. #       Number of pre-forked instances of pollers for passive proxies. 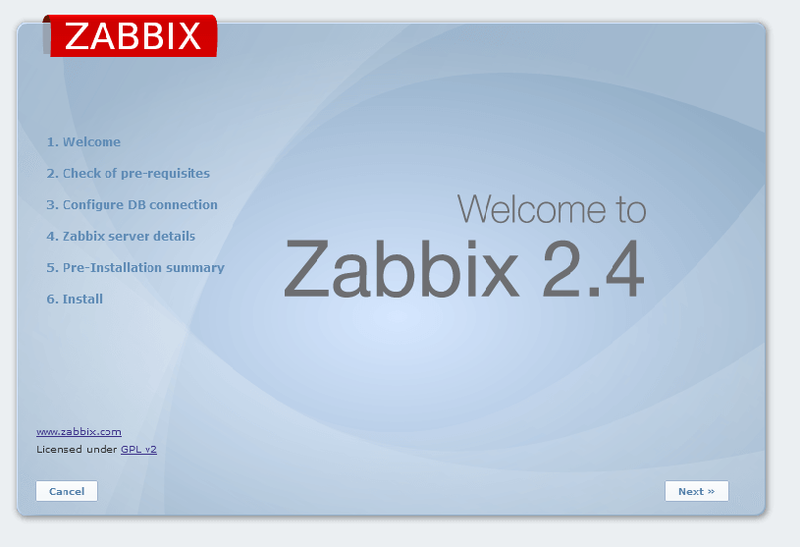 #       How often Zabbix Server sends configuration data to a Zabbix Proxy in seconds. #       This parameter is used only for proxies in the passive mode. #       How often Zabbix Server requests history data from a Zabbix Proxy in seconds. #       will try to switch to the user specified by the User configuration option instead. #       Has no effect if started under a regular user. #       Drop privileges to a specific, existing user on the system. #       Only has effect if run as 'root' and AllowRoot is disabled. #       You may include individual files or all files in a directory in the configuration file. #       Installing Zabbix will create include directory in /usr/local/etc, unless modified during the compile time. #       Location of SSL client certificates. #       This parameter is used only in web monitoring. #       Location of private keys for SSL client certificates. #       Override the location of certificate authority (CA) files for SSL server certificate verification. #       If not set, system-wide directory will be used. #       Full path to location of server modules. #       Module to load at server startup. Modules are used to extend functionality of the server. #       The modules must be located in directory specified by LoadModulePath. #       It is allowed to include multiple LoadModule parameters. ; Start a new pool named 'zabbix'. ;   '/path/to/unix/socket' - to listen on a unix socket. ; Set listen(2) backlog. A value of '-1' means unlimited. ; endless request processing specify '0'. Equivalent to PHP_FCGI_MAX_REQUESTS. ;   total processes  - the number of idle + active processes. ; updated each second. The value of 'accepted conn' is updated in real time. ;       may conflict with a real PHP file. ; - trigger alerts for the operating team (24/7). ; does not stop script execution for some reason. A value of '0' means 'off'. ; dumped to the 'slowlog' file. A value of '0s' means 'off'. ; Note: set an empty value to allow all extensions. ;                                    be overwritten from PHP call 'ini_set'.